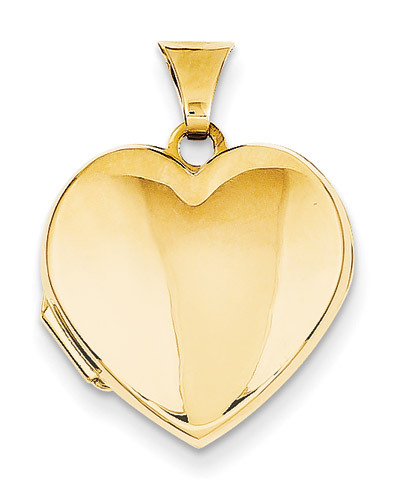 Plain, high-polished 14k yellow gold heart locket pendant. Heart locket measures approx. 11/16" wide x 15/16" tall with hoop. See our collection of quality heart lockets. We guarantee our Plain Heart Locket, 14K Gold to be high quality, authentic jewelry, as described above.